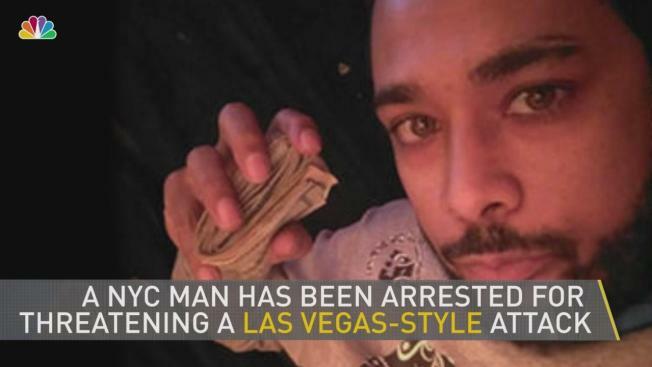 A New York City man has been arrested on federal charges for allegedly threatening a Las Vegas-style attack on a Colorado mobile technology company that had caught on to his apparent efforts to milk its referral bonus program, according to a criminal complaint. 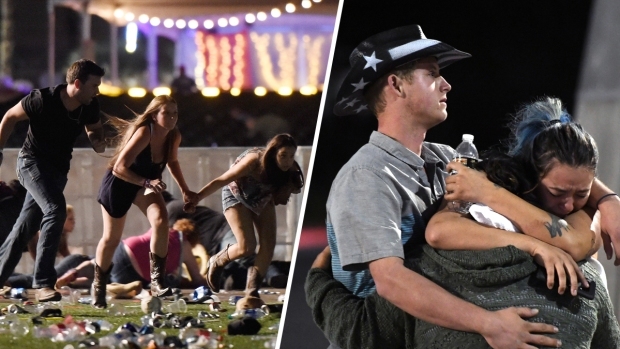 Victor Casillas allegedly sent photos of assault weapons to the firm, Ibotta, and threatened, "Get ready 4 Las Vegas part two," according to the criminal complaint. Officials stress they did not find any assault weapons when they arrested the Manhattan man. Casillas, a self-proclaimed rap artist, was in a dispute with the company, demanding money for referral bonuses as part of a promotion offered by the business, the complaint says. According to the complaint, Casillas opened his first account with the company on Sept. 19, 2014, and in 2016 and 2017, opened 14 additional ones using various email addresses. The company undertook a review of several Casillas accounts in late 2016 and early 2017 and determined "they represented a potentially fraudulent effort to generate referral bonuses." In early 2017, the company tried to resolve the dispute by paying Casillas $40 and closing related user accounts. Over the course of the next few months, new accounts were created under his name. Again the company undertook a review and again determined the accounts to be potentially fraudulent efforts to earn referral bonuses, the complaint says. The user accounts were locked. On Sept. 26, the company advised Casillas a recently opened account would be deactivated. The threats started that day. "such a cowardly act on your behalf whats your name btw? I wanna know who your spouse and children are too and I'm not asking you I'm telling you, I want to know who your parents are as well if the pieces of trash are even still alive (for now) for that matter." The following day, he allegedly sent another menacing note accompanied by a photo of two submachine guns. And the day after that, the company received this correspondence: "THIS IS NOT A JOKE NO 48 HOURS TOOK ME 3 HOURS TO ORDER FROM fThird Party Website], YO9U GUYA ARE NOT GETTING AWAY WITH THIS, I WILL BE PURCHASING MY AIRLINE TICKETS WITHIN THE NEXT HALF ]HOUR." More photos of weapons followed, along with threatening emails on Sept. 28, Oct. 1 and Oct. 4. The final message read, "GET READY FOR A LAS VEGAS REPEAT." The IP address associated with the message traced back to New York -- and Casillas, according to court documents. Casillas was taken into custody by the FBI overnight. He's facing charges of making extortionate threats and is expected to appear in federal court in Brooklyn Wednesday afternoon. Attempts to reach an attorney for him were not immediately successful.